When you are going to organize any kind of learning academy in the form of school then keeping record of all students is very much important to make sure the presence and attendance of learner in the school and this record keeping activity is possible when you have any kind of Sign In Sheet Templates in your hand to put the record in. 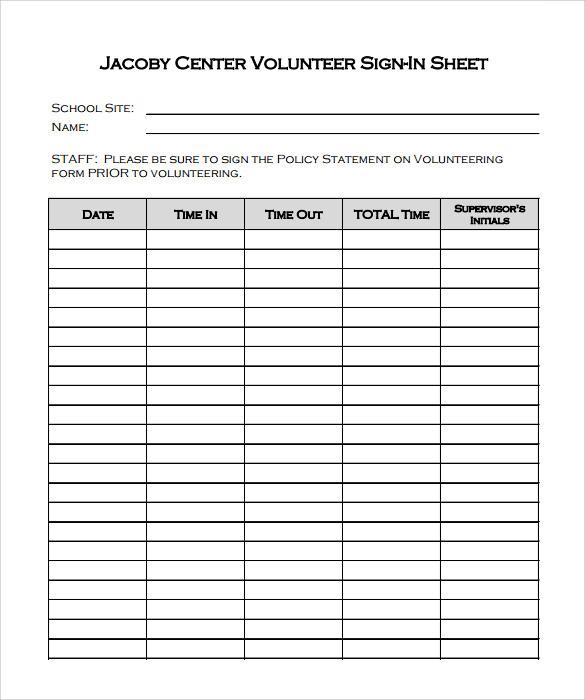 Sample School Sign-In Sheet is the sheet which is used to record the student attendance on regular basis. This sheet helps teacher to note down the actual attendance of students during over all teaching session. Normally this sheet is comprising over Student Roll No , First Name Last Name and the field of signature where teacher note down the present and absent mark of student or a signature field where student do signature. Many kind of templates available in word and PDF format. 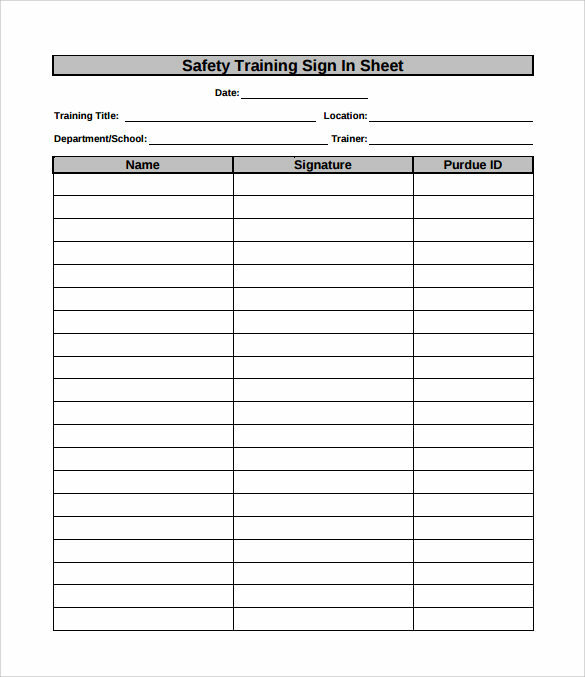 This school sign in sheet template makes it very easy for you to get the signature and the name of all those students who have been a part of your workshop or your seminar. 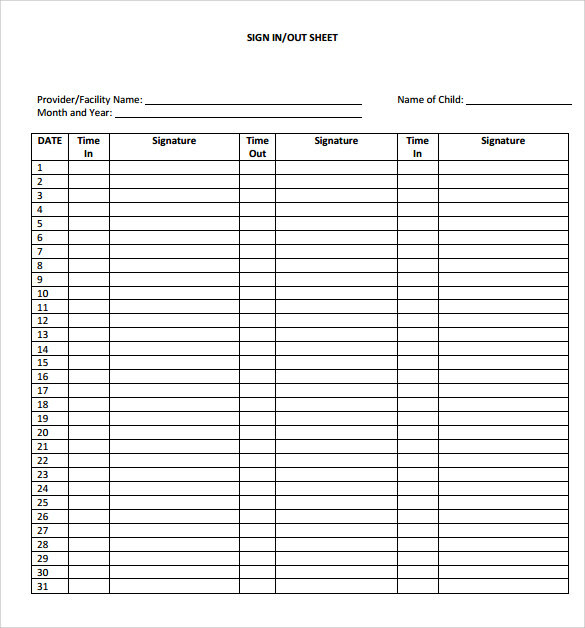 This sheet comes in tabular format featuring columns for the names and the signatures of the students. 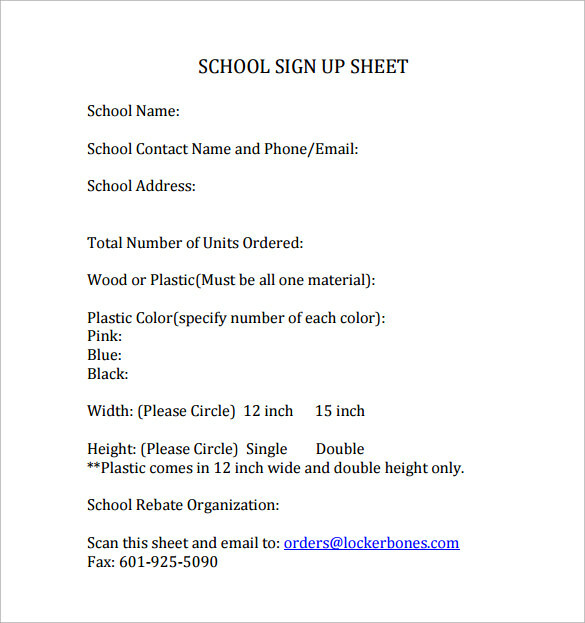 The sample blank school sign in sheet template features space for notifying the class type, the name of the instructor and the date and the location of the class. There is a table where the names of all the students present, their signature and their email addresses can easily be taken. The template comes in very handy for the parent teacher meetings and conferences. This template features spaces offered for filling up the names of the students, the names of their parents, their signatures and the class. This is an easy to use template that is highly editable and printable as well. This is a crisp and simple sign in template with space provided for filling up names, signatures and organizations. It is also one of the easiest to use school sign in templates that can easily be downloaded as well. 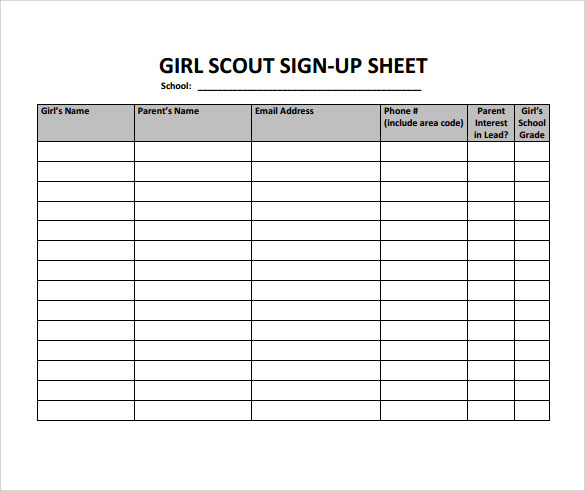 When Do You Need Sample Section Sign in Sheet Templates? 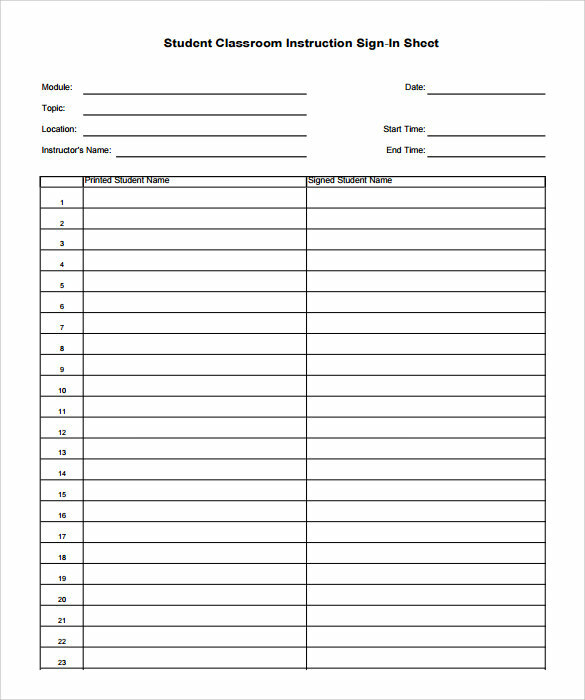 You will need a sample sign in sheet template when you are required to collect phone numbers, names, organization title and email addresses of people attending your meeting, workshop or seminar. 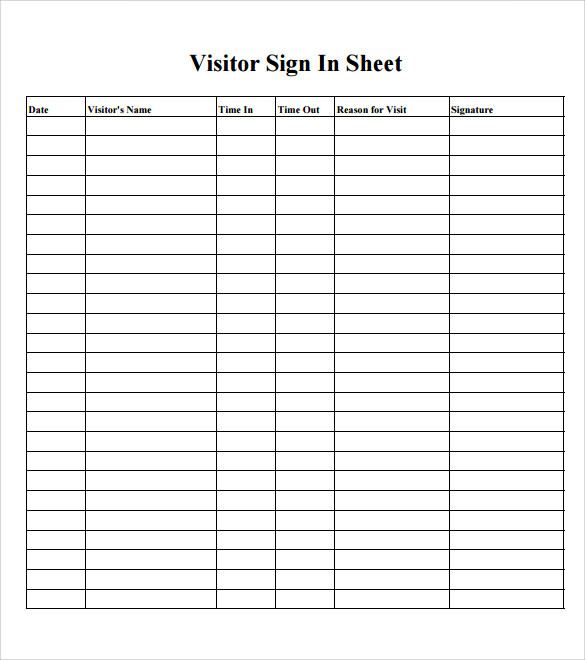 There are organizations that make the effective use of the regular sign in and sign out sheet templates for recording the time of the visitors coming and leaving the office premises. These templates are also useful in inquiring the purpose behind the visit. These templates are of good use in making the statistical analysis of necessary information. They help in formulating the right strategies on improving operations. 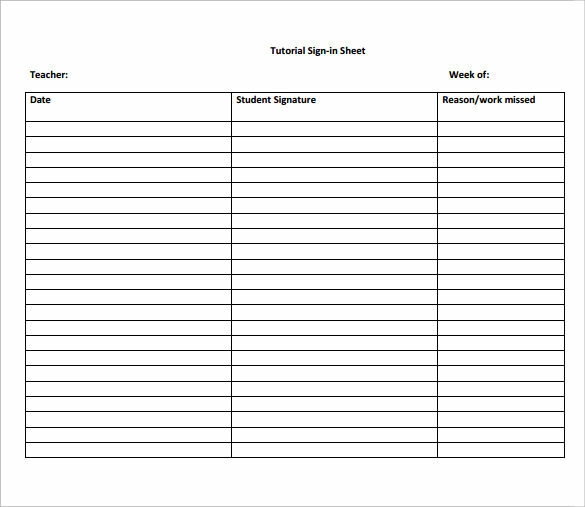 You May like Student Sign in Sheets. A sample section sign in sheet can easily be designed from scratch. However, if you are looking forward to saving time while working with minimum effort, it is important for you to make use of sample section sign in sheet templates. There are some important points that need to be considered when creating these sign in sheet templates. The templates should have enough space for the attendees to give their details and signatures. 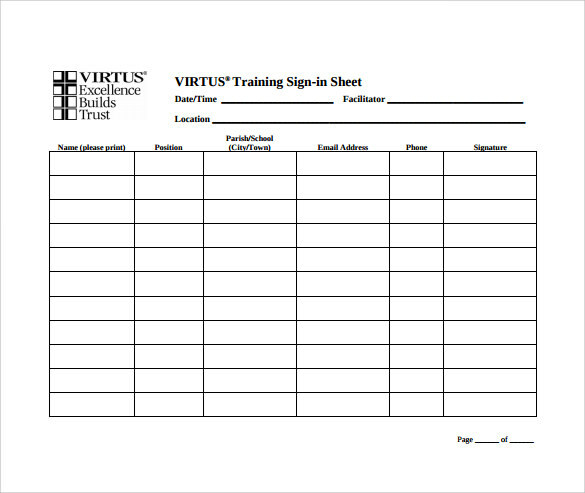 A specific order should be followed when creating the sign in sheet template. This order can either be chronological or alphabetical. 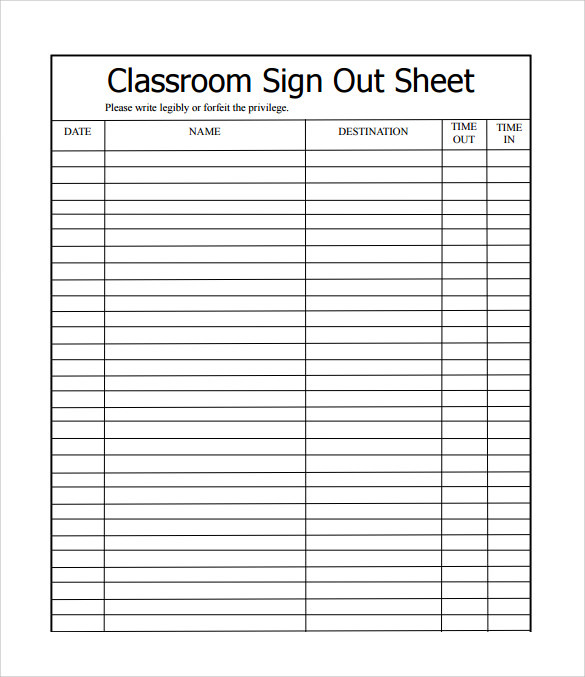 This will make it easy for you to tally all the sign in sheet templates in near future. You can also see Assignment Sheet Templates. 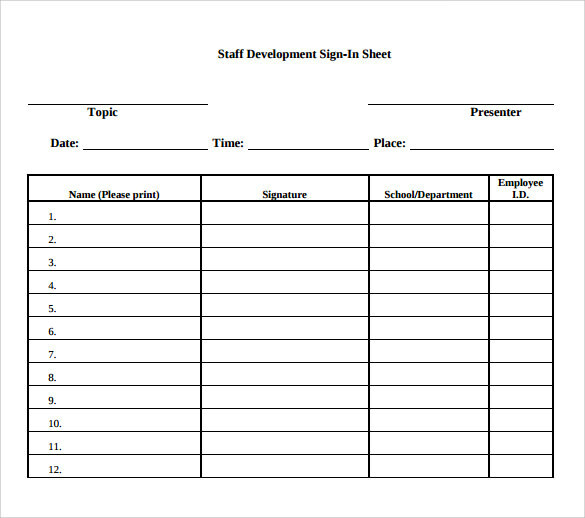 What Are the Benefits of Sample Section Sign in Sheet Templates? One of the major benefits rendered by sample section sign in sheet templates is that they help in keeping the record of the students attending an event. 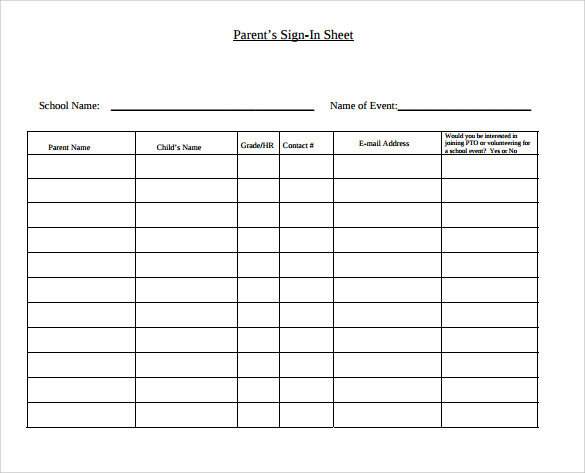 The record keeping activity in a school can be very challenging and therefore making it easy with the use of sign in sheet templates might work wonders. These sheet templates help the teachers in noting down the attendance of the students during their teaching sessions. It is not very difficult to create a sample section sign in sheet but with the effective use of sign in sheet templates, the entire procedure can be carried out in minutes.